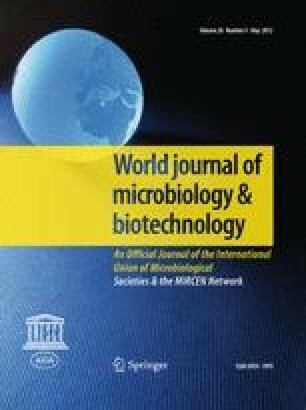 The aim of this study was to investigate the antibiotic susceptibility profiles and the presence of extended-spectrum-β-lactamases (ESBLs) in Pseudomonas fluorescens isolates from coastal waters of the Kaštela Bay, Croatia. Twenty-two water samples were collected during 2009. Isolates were tested for susceptibilities to 13 antibiotics by Etest. ESBL production was confirmed by double-disk synergy test carried out on Mueller–Hinton agar plates containing efflux pump inhibitor Phe-Arg-β-naphthylamide dihydrochloride. PCR and DNA sequencing analysis were used to identify ESBL-encoding genes. The transferability of cephalosporin resistance was tested by conjugation experiments. Genetic relatedness of ESBL-producing isolates was determined by random amplified polymorphic DNA (RAPD) analysis. Out of 185 P. fluorescens isolates recovered, 70 (37.8%) demonstrated multiresistance phenotype with highest rates of resistance to tetracycline (61.6%), aztreonam (31.9%), meropenem (17.3%), ceftazidime (15.1%) and cefotaxime (12.4%). Ten (5.4%) isolates were identified as ESBL producers. All isolates carried chromosomally located bla TEM-116 gene. RAPD analysis identified four different genotypes. Here, we demonstrated a baseline profiles of antimicrobial resistance of P. fluorescens from coastal waters of the Kaštela Bay, Croatia. To our knowledge, this is the first report of the presence of TEM-type ESBL in P. fluorescens, indicating this bacterium as a reservoir of antibiotic resistance genes with clinical relevance. This work was supported by Ministry of Science, Education and Sports, Republic of Croatia, project “Faecal indicator and potential pathogens in coastal and marine waters“, Grant 177-0000000-3182 and project “Mechanisms of maintenance genome stability in higher plants”, Grant 177-1191196-0829.